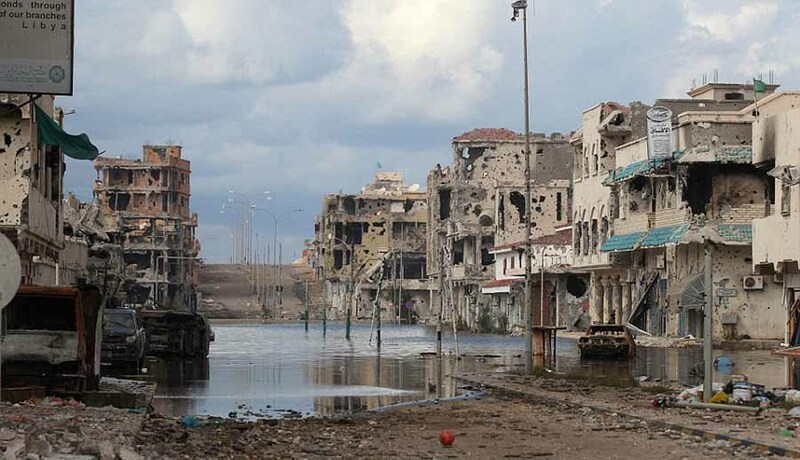 The World Health Organization (WHO) fears an outbreak of contagious diseases in Libya, in particular in Tripoli. A violent battle is taking place in the south of the capital. The fighting between troops of the Libyan commander Khalifa Haftar and the internationally recognised government has now claimed 75 lives. 323 were injured. Hospitals in Tripoli have received medication and other relief supplies from the WHO. This organisation reports that there is enough emergency aid for about two weeks, while the problems in the area seem to be getting worse. According to the United Nations, 9,500 people have been displaced by the fighting. 3,500 of them left their homes in the last 24 hours; the UN said Friday morning. 90 per cent of the group that had requested evacuation could not be moved to a relatively safe place. The WHO contingency plan is based on thousands of displaced persons at this stage of the struggle. “Not hundreds of thousands”, WHO envoy Syed Jaffar Hussain emphasises. According to the doctor, sanitary facilities are inadequate, especially for the displaced, which means that tuberculosis, measles and other infectious diseases can easily pop up. The European Union called on Haftar’s troops on Thursday to stop fighting, but they did not respond. These Libyans want to expel the government of Prime Minister Fayez Al Sarraj. Since the death of the dictator Moammar Gaddafi in 2011, there has been a great deal of division among the population in Libya. Haftar says to fight Islamic extremism, but according to opponents, the commander is striving for a dictatorship. Haftar was once army chief under Gaddafi. In 1969 he assisted the dictator in carrying out a coup.